Store in a cool, dry place away from strong odours and taints. We think Daisy the cow is just moo-velous. 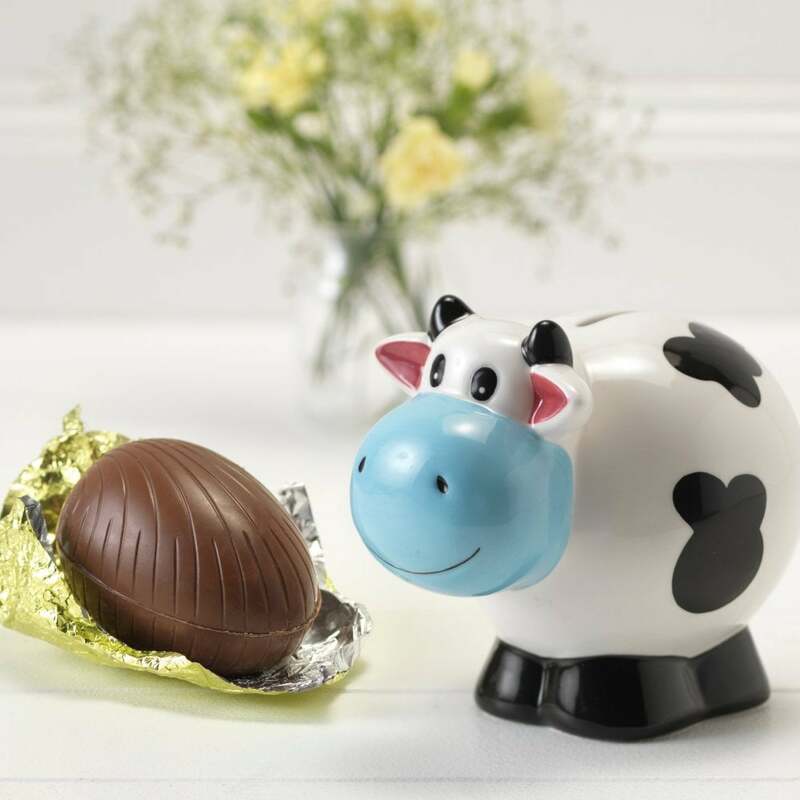 Children will love this ceramic money box which comes with a milk chocolate Easter egg and features a puzzle on the back of the packaging. Very fun for all family to enjoy and for kids to save money in and eat the chocolate egg. Great colours and on the box a little puzzle to do all in all fun.